From budding generals to promising privates, World of Tanks is the perfect game. World of Tanks is a team-based massively multiplayer game (MMO) dedicated to armored warfare focusing on conflict in the 20th Century. If that weren’t enough of a hook for lovers of military might, you can also bet on the outcome of the tank supremacy here at Master Mazuma. In this guide, we’ll tell you everything you need to know about World of Tanks and World of Tanks betting. Here at Master Mazuma, we offer betting on World of Tanks gameplay on a variety of markets that all come from the battle of two competing teams in the game: from who the game’s champion will be to how long it will take them to succeed, to how exactly they swoop to victory. You can also bet on the odd/even kills of a game – which may not necessarily result in a winner. Let’s take a closer look. World of Tanks debuted as being eligible for competitive eSports betting at the 2012 World Cyber Games, and its popularity has risen even more since then. The Grand Final at Wargaming offers a prize pool of $300,000 for the world champion. In this game, the tanks are historically accurate and range from those used by America, Britain, Germany, China, France, Japan and the Soviet Union – focusing on the individual developments made during wartime by those countries. But the tanks are not just limited to those actually used – customisable tanks are available through upgrades, so players can use parts from different countries, eras and wars in order to create the perfect war machine to reign supreme. When you’re choosing who to back in World of Tanks betting, one of the things to look out for is exactly this. By optimising tanks for different scenarios, smarter, more strategic pro players will have more chances to win. Their teams’ rankings will increase, and therefore their betting odds on Master Mazuma will change. Gameplay doesn’t just start and end on the battlefield – this is a complicated but rewarding game to both play and bet on. Players’ strengths and strategies can be formed based on their tanks, or tanks can be chosen based on their desired strategy. Fast and nimble tanks can be used to catch opponents by surprise, all-purpose tanks can be used to clear the battlefield, heavy-duty tanks can be picked for strategies involved mowing down the competition, and tanks equipped for snipers can be chosen for stealth warfare from miles away! World of Tanks – being one of the most popular MMOs – isn’t just about sole strength to win the battle, though. Teamwork and cooperation are key in order to achieve victory. Pro players must work effectively as a team, leveraging strengths and weaknesses in order to come out on top. As you become more familiar with World of Tanks betting, you’ll learn to notice which teams and individual players are better at teamwork, which will give you a strategic advantage when you choose who to bet on here at Master Mazuma. The simulator aspects of the game – not to mention the graphics and audio – give the impression of being an actual tank commander back on the battlefield. Gamers can upgrade their vehicles as they move, choosing the best upgrades for the right tanks and terrain of the battlefield. The game also features co-op shooter gameplay. This may involve going deep into enemy territory to complete the mission or holding back to destroy major targets from afar before going on the offensive. If World of Tanks betting sounds interesting to you, you may want to take a look at the game to make better decisions. 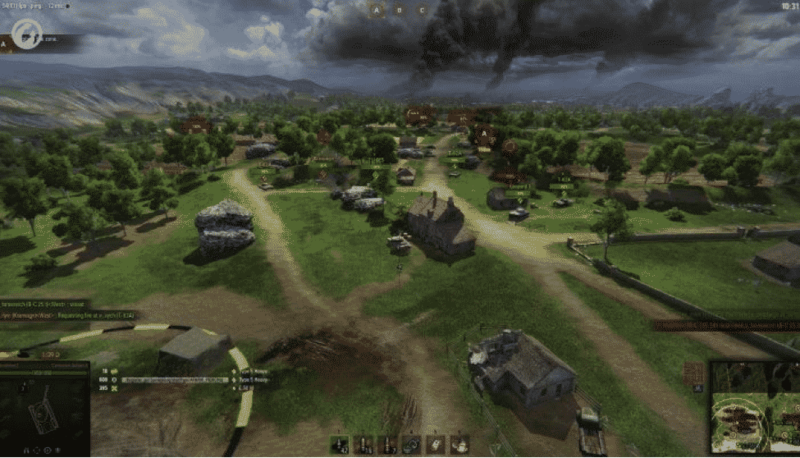 Whether you’re an aficionado of tanks or completely new to MMOs, the dynamic gameplay of World of Tanks is easy to pick up, and players can be in their first battle within minutes of signing up. A training level will show new players with the controls so they can join the thousands of World of Tanks players worldwide. The short, sharp action of the game is enough to draw anyone in for their first taste of armored warfare. And when it comes to World of Tanks betting, the Master Mazuma welcome offer of getting 10 bets for the price of 5 will make your choice of bookmaker easier than ever. Through thoroughly studying the skills of each tank on offer, World of Tanks players are able to coordinate their team into a better strategic formation. This is something you may want to study when choosing who to back in World of Tanks betting. The more strategic pros will always come out on top, and the smartest punters are able to tell who has potential from watching one or two games. Whether you’re a seasoned World of Tanks fan or looking for your next favorite eSports betting market, we hope you found our guide useful. Now that you’re ready to start betting on the many markets Master Mazuma offers for World of Tanks betting, from outright winner and live betting to number of kills and beyond, hit our sign-up button and follow our quick registration process. You’ll be happy to hear that eSports betting with Master Mazuma can be done through PayPal, MasterCard and even BitCoin, so you only have to pick your favorite deposit method and we’ve got you covered. As a thank you for signing up, we’ll give you a bet 5 get 10 bonus right away – and our offers don’t end there either. So, what are you waiting for? Use your strategic skills to pick out the next winning team in World of Tanks betting and win big. If you like variety, stick with Master Mazuma. As eSports betting experts, we offer great variety in video games and markets to bet on. Stick with us and you’ll very soon find out why we’re considered the go-to bookie for eSports betting.